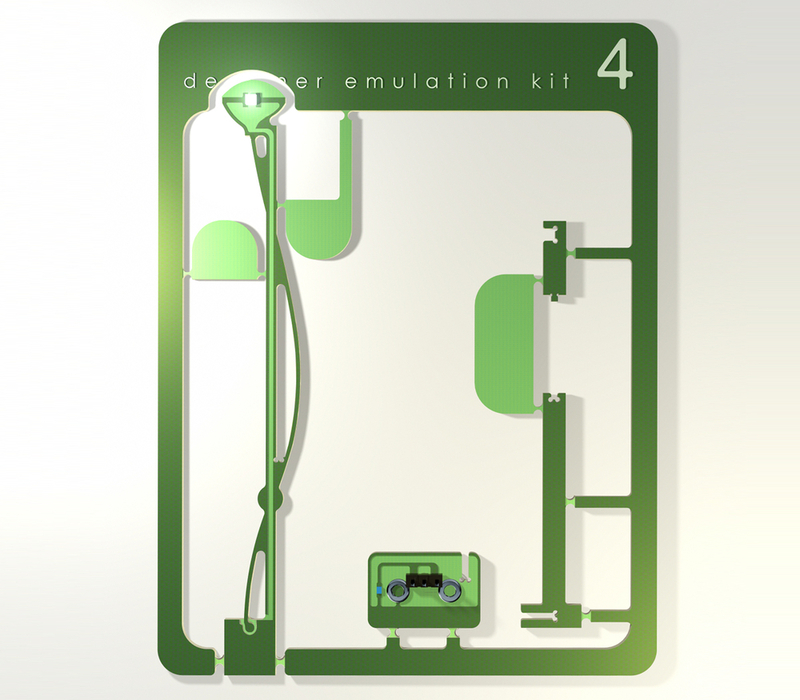 Designer Emulation Kits (DEKs) are tributes to some of the all-time great industrial designers. Use the kit to make your own design classic. Assemble, attach to a 9-volt battery, and enjoy! The project was actually started as a joke—an amusing paean to Mark’s mentor and former employer, lighting designer Ingo Maurer. However, it quickly expanded, taking on a life of its own and obtaining coverage in magazines and blogs. Eventually, the DEKs established the manufacturing component of mmckenna. Already a popular product before I arrived at the studio I aided in the development of the line. While an intern I helped to design and prototype DEKs 4 & 5. 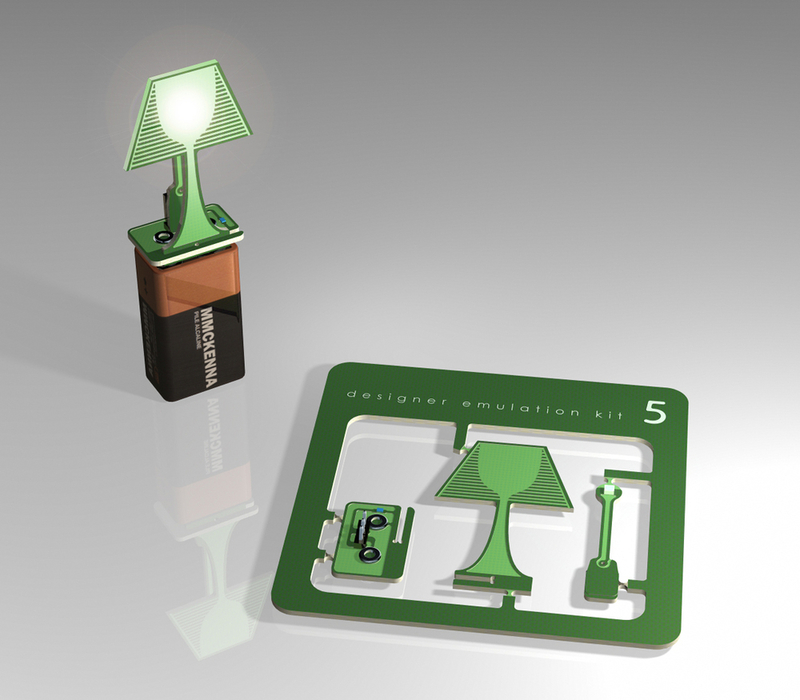 The circuit boards were first prototyped with card stock by hand and soon after fabricated on our own CNC mill.